Bayview Optical is located in the heart of Old Town at the bottom of North 30th Street Hill, and has been in existence since the early 1990s. We pride ourselves in the personalized vision care given to each individual that comes to us for their optical needs. We specialize in quality frames, lenses, and a wide assortment of soft contacts customized to fit the individual customer. 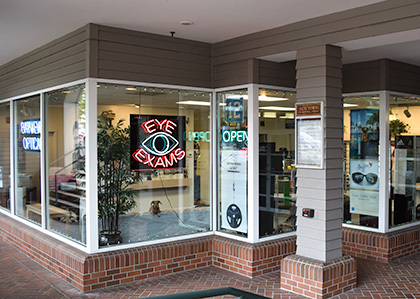 You will have the luxury of seeing the doctor, Susan Gorny O.D., and Licensed Dispensing Optician, Nancy Muse, in the same location. We will make sure your individual comforts are our priority to provide you the best vision care possible. We consider all of your vision concerns, including sitting at your computer, relaxing while reading a book, or watching TV. Our customers are like family, and we want to make sure your every vision need is completely met to your satisfaction.